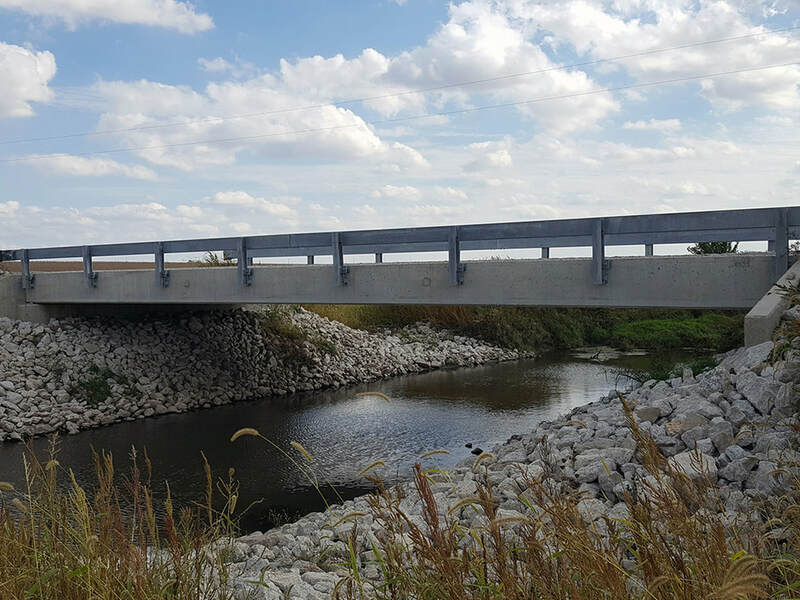 Chastain provided a Phase I study and Phase II design engineering services for the complete removal and replacement of a 3-span, steel I-beam structure with concrete decking on timber piling. The new structure is a single-span, PPC deck beam structure on pile bent abutments. The roadway improvements included widening the roadway to 24-feet using an 18-inch aggregate base with A-3 bituminous surface and 3-feet shoulders. A nearby intersection was raised to accommodate the increase in the profile and to minimize intersection flooding. Scope of work included topographic surveys, hydraulic surveys, right-of-way plats, permitting, Bridge Condition Report, Hydraulic Report, Project Report including a Location Design Study and environmental documents, and final plans, specifications and estimates of cost and time. Project was financed using federal HBP, TBP and local funds. Project design was completed in 2013, and construction was let through IDOT, District 6 in 2014. Total construction cost was $1.2 million.